I love these types of books set in New York! Please count me in for sure! First time I have been to your blog - I liked your review and will return back to see your other reviews. The book sounds great ~ Thanks for the giveaway! 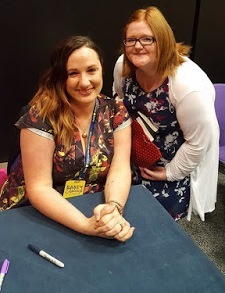 Nicely done interview as well - I found the author to be pretty friendly and personable. Count me in for the giveaway! First of all - Beautiful cover!! I would love to read it! Great review I always love this kind of book, friends falling in love, wondering is is the right thing to do because you dont want to lose his or her friendship is something goes wrong! Thank you so much for the giveaway! Ah, new York Neeeew Yoooork! The book sounds great and I have to say I really like the cover! I loved hearing your thoughts & a great interview thank you! I adore the cover of the book and the story sounds very interesting! Wow! this book sounds like a great read ! Also, I just stopped by your blog and am a new follower. It looks great! Thanks for the giveaway! I follow your blog with GFC. Have a wonderful day! She's got great taste in books! I love Lola and the Boy Next Door too and Meg Cabot! Hey I like the mock-up cover made by Keris. Nice cover too! i want to read this book ;) thanks for giving away a copy. 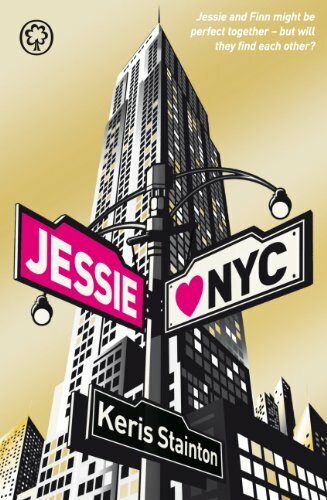 Jessie Hearts NYC sounds like a fun book to read! I've heard a lot of good things about this book.